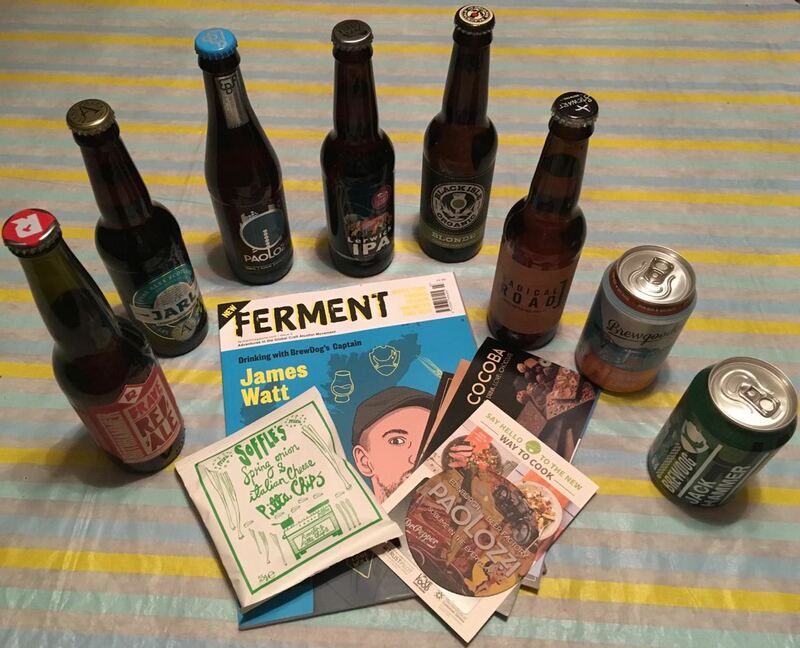 Beer 52 very kindly sent me another box of eight of their beers to try. As you can see from the photograph there was also a very smart Ferment magazine, of which I will read during lunchtimes at work to take my mind off the humdrum, and a packet of Soffle’s Pitta Chips. I’ll look forward to munching those with one of the beers at some point soon. 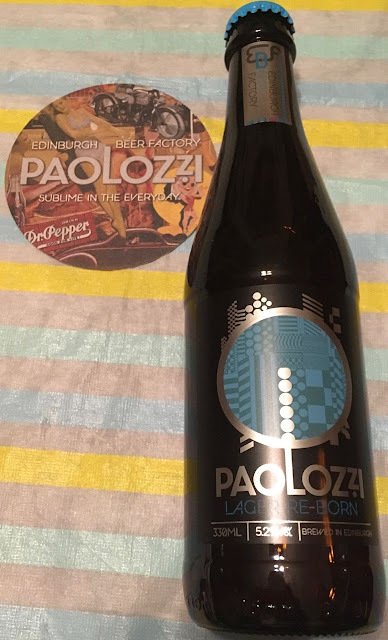 This Paolozzi lager took my eye first, as it came with a rather interesting beer mat (and I’m shallow for the freebie). Brewed by the Edinburgh Beer Factory this 5.2% volume lager is presented in a 330ml bottle with some Pop Art on the front. Eduardo Paolizzi invented Pop Art and was born not far from Edinburgh in Leith. He combined common objects to make new and exciting things, coining the phrase “sublime in the everyday”. On opening the lager there was a sweet bitter hoppy smell from the contents with floral hints and a little citrus. On taste this wasn’t one of those run of the mill over fizzy lagers you get in the pub that always has a habit of bloating me. A gentle fizz met my senses as a strong sweet bitter hammer of hops and a touch of barley malt travelled from the initial taste and into the aftermath. This is definitely an artisan brew and no mistake. A perfect tribute to the great and innovative master himself.